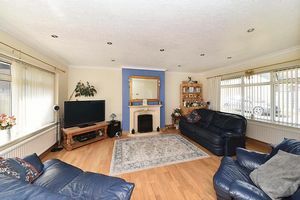 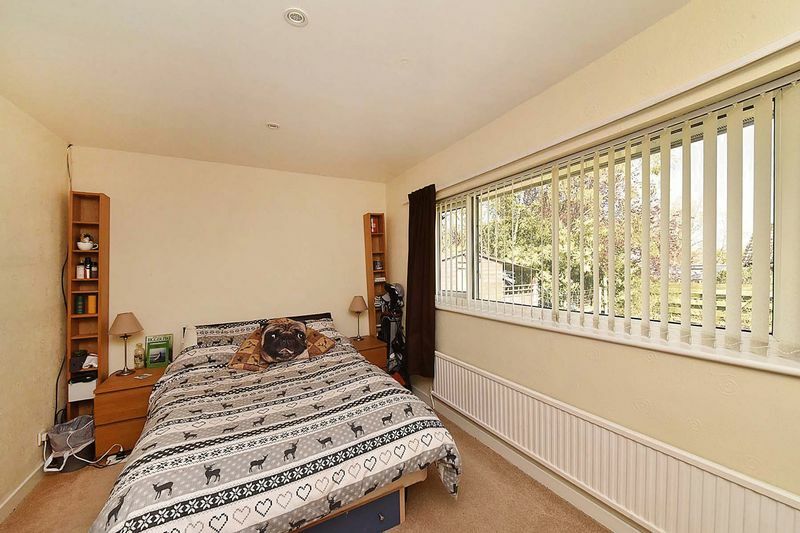 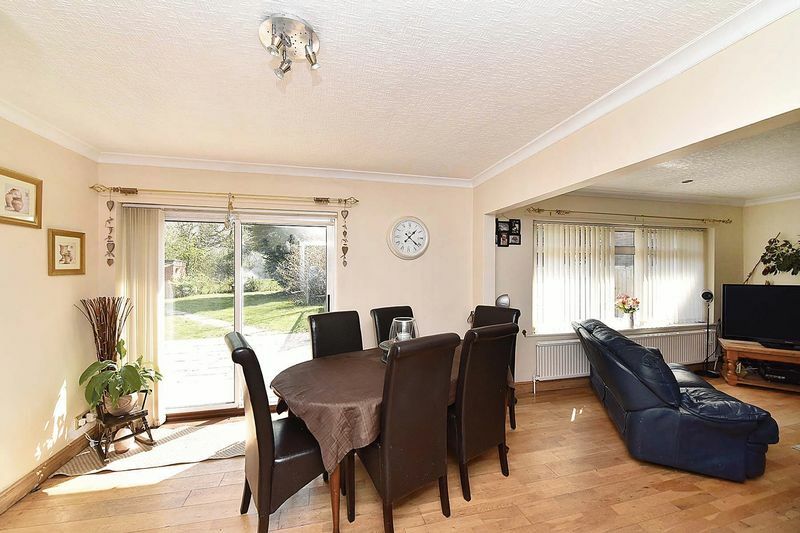 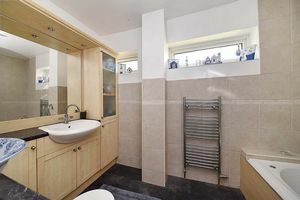 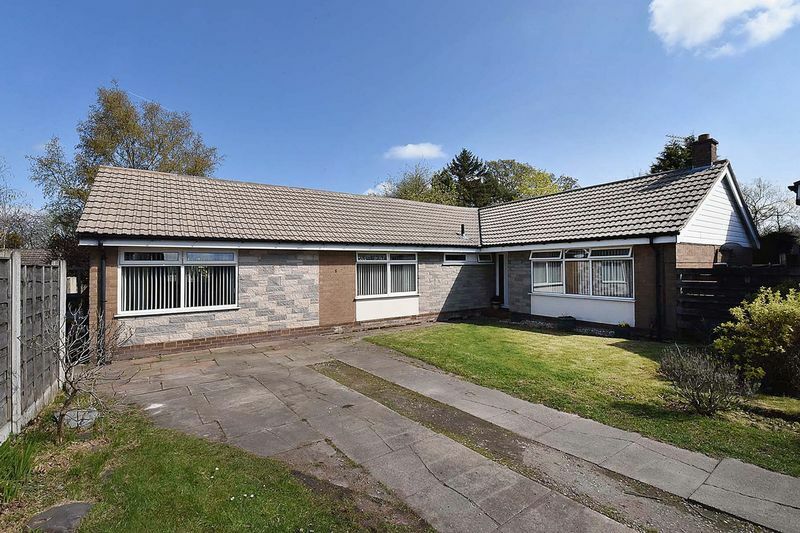 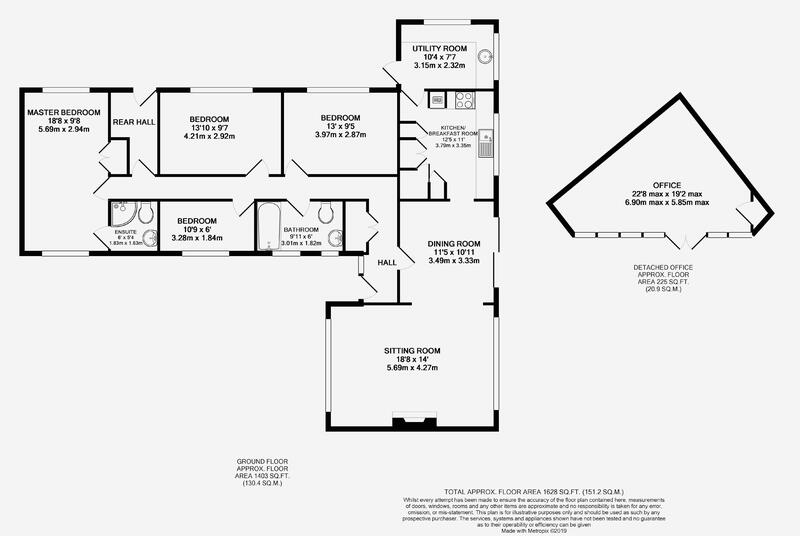 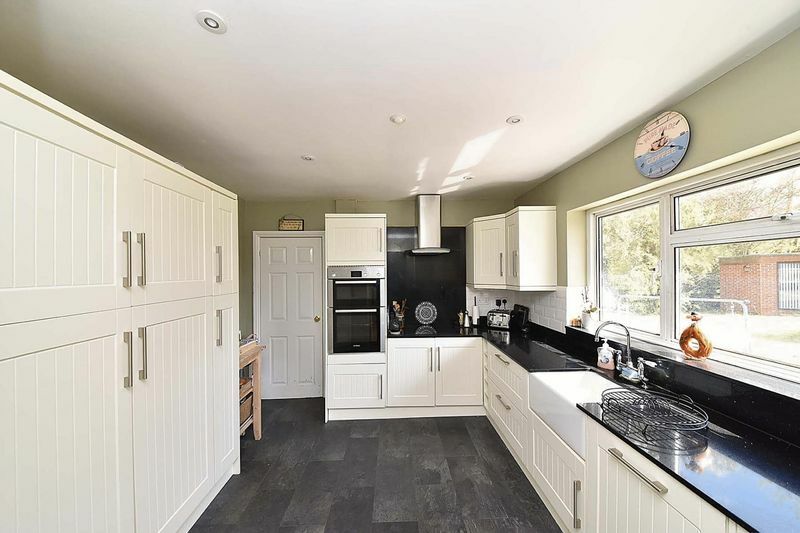 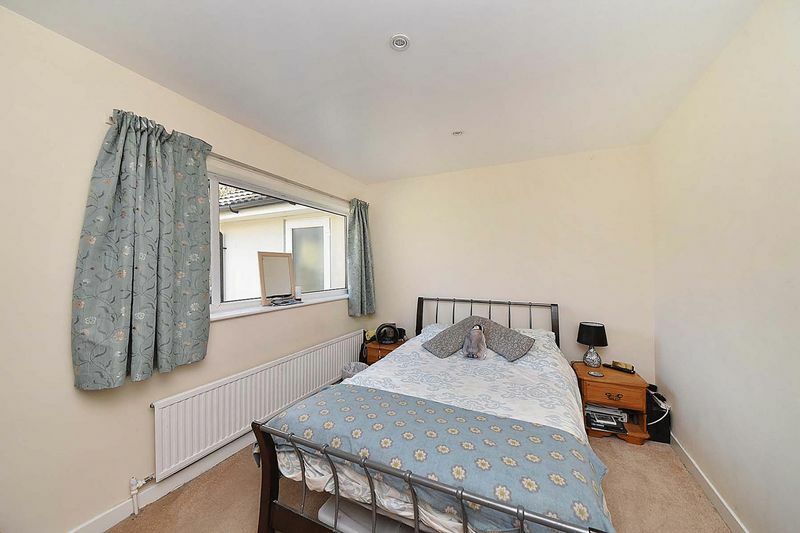 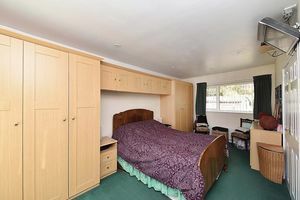 Entrance hall with cloaks cupboard, dual aspect sitting room with adjoining dining room, kitchen, utility room, rear hall/boot room, master bedroom with en-suite shower room and built-in wardrobes, 3 further bedrooms and bathroom. 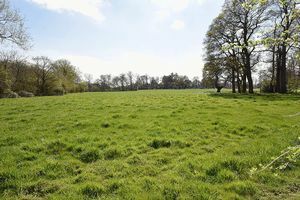 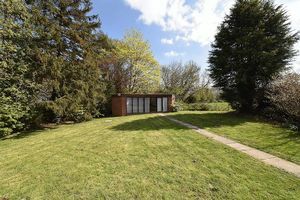 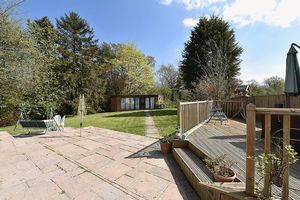 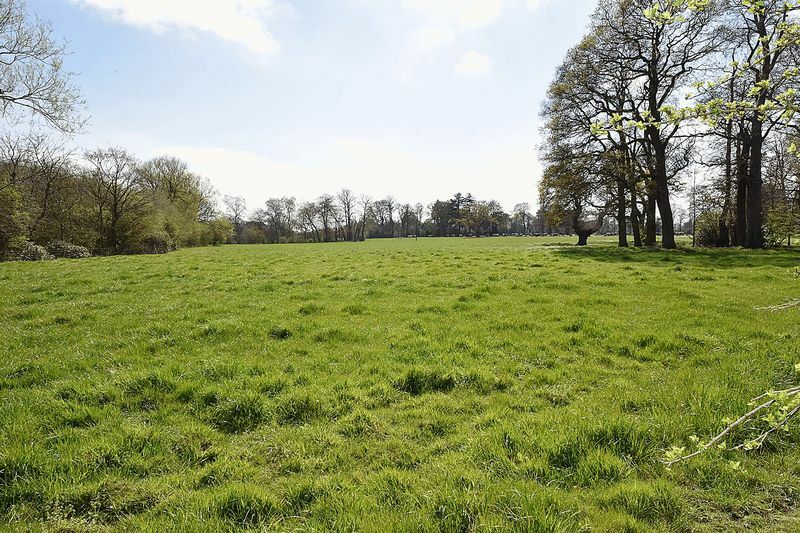 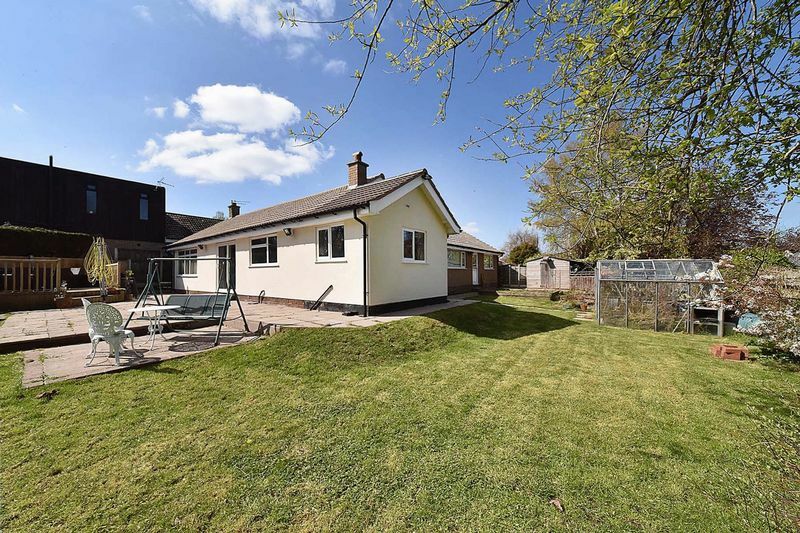 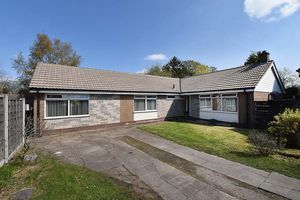 Pleasant corner plot position with views over adjoining farmland to the rear. Excellent detached brick built home office.